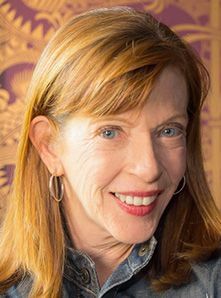 Susan Orlean Susan Orlean has found a perfect shelter from our stormy times, said Alice Cary in Bookpage. For her latest book, the best-selling author of The Orchid Thief wanted to spend a year inside a library, but she knew a quiet insider’s tour wasn’t much of a concept. “It had a little bit of a saggy-baggy feel,” she says. Fortunately, Los Angeles’ central public library turned out to be a more quietly thrilling place than she’d expected. On an introductory walk-around, she was surprised when her guide stopped to open a book, inhaled deeply, and declared he could still smell smoke. The library, Orlean soon learned, had in 1986 been engulfed by a fire of mysterious origin that destroyed or damaged a million-plus books. “I just about fell off my chair,” she says.